Nothing brings back the feeling of being a kid for me more than a trampoline. Around the age of 9 years old, it seemed that every kid at school was getting a trampoline and they were very popular. My mom wasn't so keen on them being cautious as she was, so I didn't get one, but I bounced every chance I got while visiting a friend or attending a sleepover. Those are great memories and we would spend hours and hours, right up until dark practicing our flips and cheerleader jumps. I usually started out slightly timid, not used to the free-fall feeling, but I'd always grow fearless and turn out somersaults & toe touches in no time like a bouncy little boss. 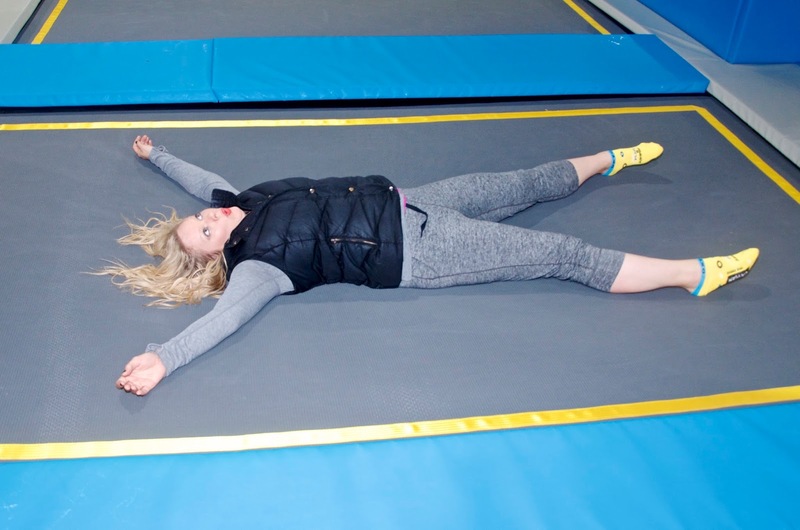 I must admit, it had been at least 10 years since I'd been on a trampoline when I got the opportunity to visit Oxygen Freejumping in Croydon and I was so excited to get to bouncing again. When we arrived at Oxygen Freejumping I was impressed by the size of it. It's huge! A massive warehouse type of space houses the facility and you'll have everything you need when you get there. Lockers are provided that are easy to use and once you're registered, they give you a pair of grippy-bottom socks to wear that you can keep after your bounce. There's a fun cafe area where you can purchase refreshments or just hang out. Once you're all set, they take you through a little room to get your safety briefing, which is a very quick & entertaining little cartoon video. Once you've finished that, the double doors open to the main event and you're ready to bounce! It's important to note that you won't be allowed to use your phone or camera on the trampolines and unless you have zip pockets, they won't allow you to bring your phone in at all for safety reasons, so if you need to share Instagram stories from your trip, come prepared with zipper pockets. While I'm at it, I'll also say that it's a little bit cool in the park, however you warm up quite quickly. I'd advise long sleeves at the most, but nothing too bulky or you might get a little too warm (like I did in my puffy vest). 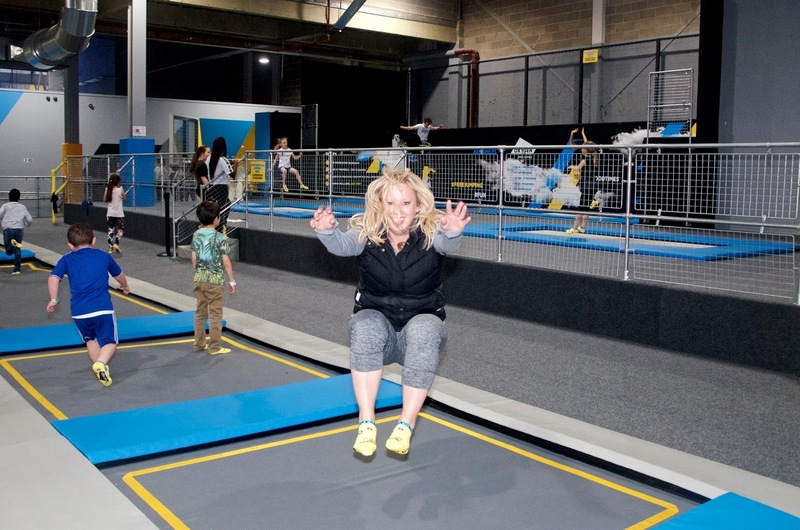 With over 100 trampolines in various sizes and 14 unique zones, there's plenty to do at Oxygen Freejumping Croydon. 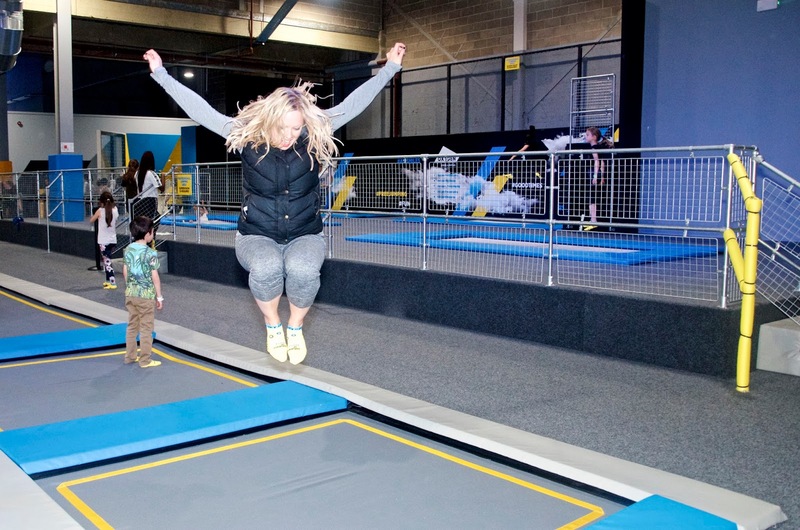 The zones are all sectioned off in some way or another and include things like trampolines, professional style trampolines, a rock climbing wall, an obstacle course and a high jump area where you can jump from a high point into an airbag. Freejumping is the original concept for Oxygen and simply involves an hour to explore the whole park and enjoy all it has to offer rather than booking into just one specific spot. Oxygen currently operates 6 parks across the UK with plans to open even more in the future. I spent most of my time in what I would call the main area, a section of connected trampolines with padded barriers in between them. Some are perfect squares, some are rectangular and others are super long if you want to try a tumble. In the middle of this section is a more built-up structure that reminded me of playing King of the Mountain as a child. You can stand up there and jump onto a trampoline if you're brave... I was not so bold if I'm honest, but I really enjoyed jumping from square to square. I visited Oxygen Freejumping on a Saturday afternoon and if I'm honest, it was quite busy. A session is one hour and the place was full of kiddos. I avoided some of the areas, simply because of queues or fear of crushing a tiny person, but it didn't prohibit my fun. If you have kids, this is a great place to spend some time as a family or take the kids to get them some good fun and exercise (or tucker them out if they're hyper and you just want them to sleep) at the same time. Each section has a sort of lifeguard and the rules are very specific, including only one person on a trampoline at a time. 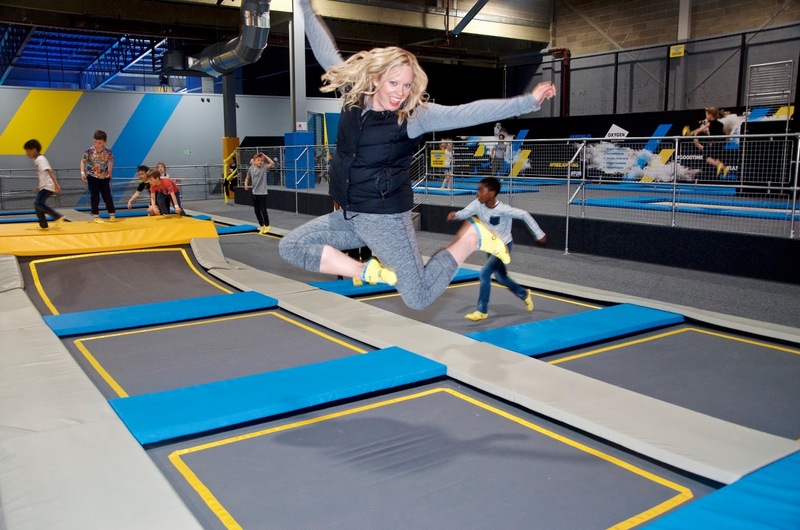 Even though there are of course no guarantees with something like trampolines, every safety precaution is seen to, so you don't have to worry any more than necessary. Oxygen isn't just for letting the kids run loose though... 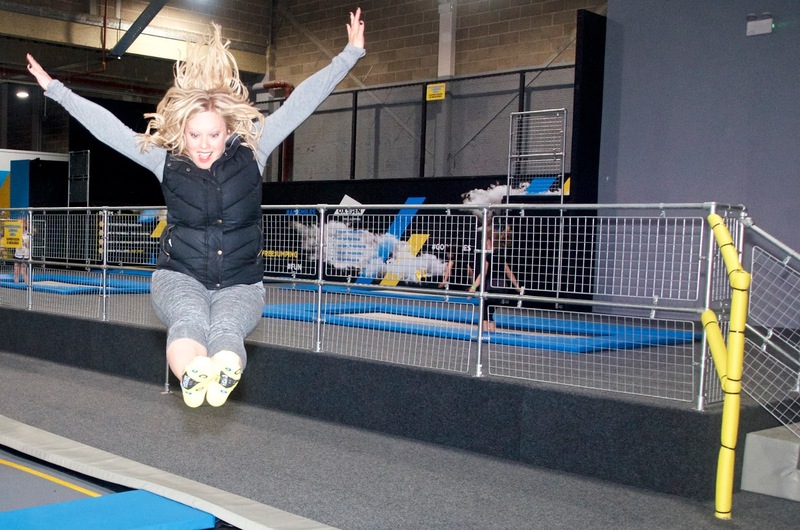 They also host parties, offer fitness classes and some locations offer the School of Trampolining with British Gymnastic qualified instructors. 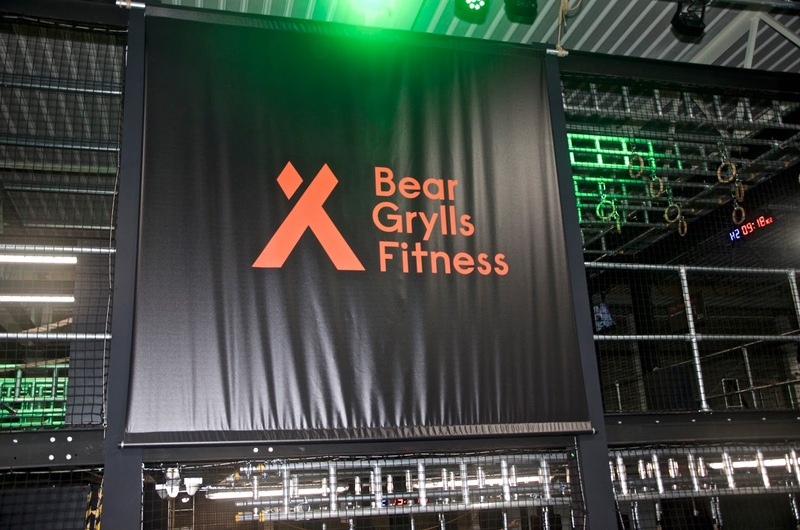 The Croydon location also offers Bear Grylls Fitness, an indoor obstacle fitness course designed to reflect the way Bear Grylls himself keeps fit. Perfect for adventurers, this part of the park is not part of the freejumping experience, but can be booked separately and it looks like a super fun way to get a workout in. It's like an obstacle course with rope ladders, climbing, balancing, wall climbing exercises and more. My jumping experience was just as I remembered from childhood and I couldn't have had more fun. I freely bounced for at least 45 minutes and I couldn't believe how tired and sweaty I was afterwards - it's a serious workout! Like most things, it's also like riding a bike and after about 5 minutes or so, I was back into the swing of it, doing toe touches and somersaults like no time had passed at all. The next day I was actually sore and I'm not surprised - I probably used muscles I don't normally use in my regular workouts. It's always great to get out and do something out of the ordinary, switch up the old routine and try something new. 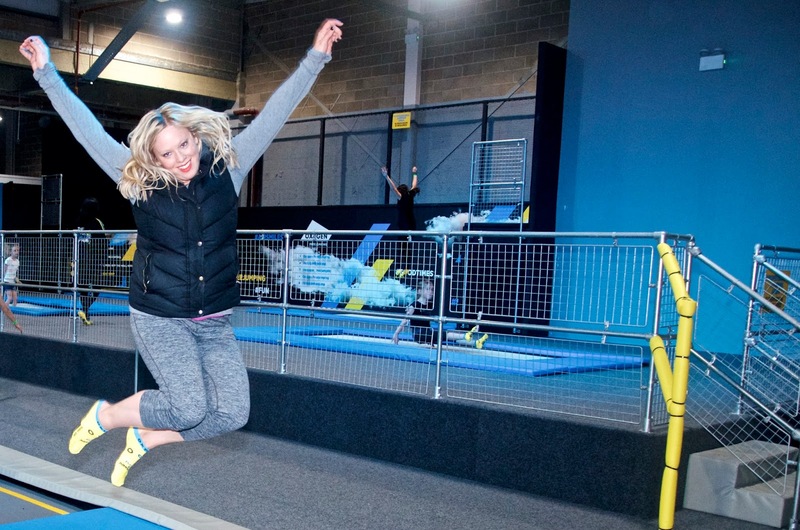 I'd definitely recommend a trip to Oxygen Freejumping if you're keen to do something fun, different and active in London whether you're out with just a friend or the whole family. Oxygen Freejumping Croydon is open 7 days a week and fairly easily accessible via public transport. We took a train to East Croydon and then a quick & cheap uber to the facility however on the way back, we quite easily got a bus back to the station. Oxygen Croyden is located in a big shopping centre that has lots of food and fun options to keep you occupied for a day out. If your kids are super little, check out the Little O's sessions, which are specially reserved for toddlers aged 5 years and under to attend with a parent or guardian. For more information or to plan your bounce, visit oxygenfreejumping.co.uk.